Monday 6th February 2017 – 11.00am – Murray MacGregor. A pedestrian has died after a collision with a car. 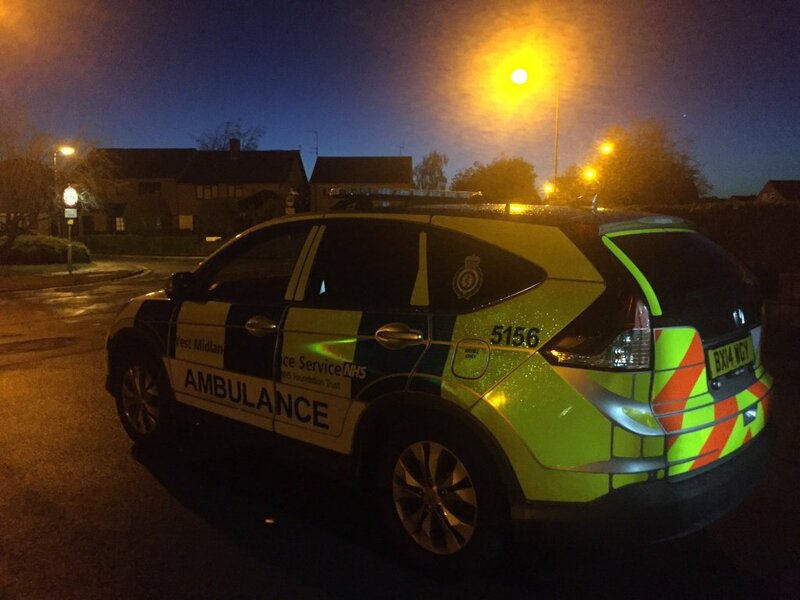 An ambulance, a paramedic area support officer and the MERIT Trauma Doctor were sent to the scene after a call at about 11.25pm. A West Midlands Ambulance Service spokesman said: “When ambulance staff arrived it was clear that the pedestrian had suffered very serious injuries. “Sadly, it quickly became apparent that it would not be possible to save him and he was confirmed dead at the scene.